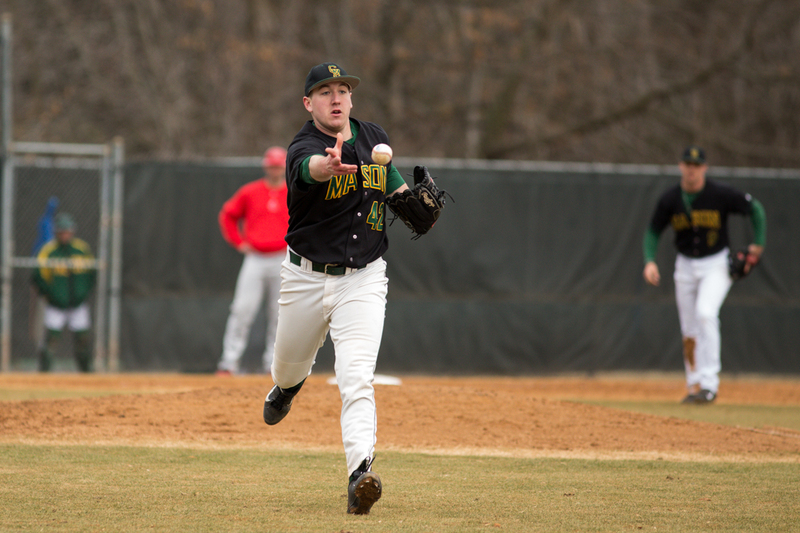 Mason baseball defeats Hartford 1-0 in seventh inning as game is called for cold weather (photo by Maurice Jones). RHP Tyler Zombro, RHP Riley Coverdale, and LHP Evan Porcella combined to throw a shutout for the Patriots. Collectively they scattered four hits over seven innings. Not only were the pitchers throwing well, they were fielding their position well. Not counting strikeouts there were four pitcher putouts through the seven innings. The defense behind these pitchers also played at a high level. In a 1-0 game where every play is crucial, the Mason defense did not commit a single error. They even collected some style points by recording the last two outs via double play. No Patriot recorded more than one hit on the day. Fernandez was the only player on either team with an RBI or an extra base hit. Mason had one other great opportunity to score in the 4th when they had bases loaded and one out. That threat was ended when Shortstop Brandon Gum rolled into a double play to end the inning. Hartford only got one real scoring opportunity and that came when back-to-back walks set them up with runners at 1st and 2nd. Infielder Dalton Ruch flew out to center field to end that threat. 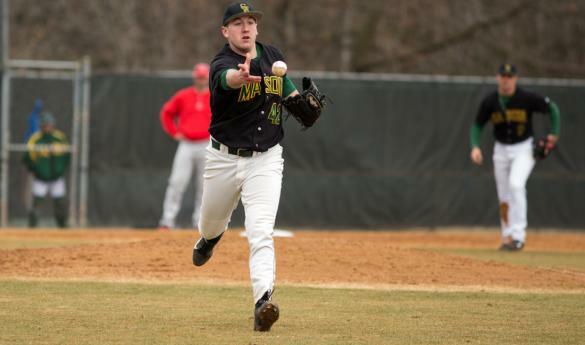 Mason improves to 8-2 on the season by sweeping the double header today. Their next game is home on Sunday, March 2nd at 1 p.m.